Where can I get the latest version of Java? This issue is caused by obsolete Java 6 or Java 7 software. Since Oracle ended with support for Java 6 in February 2013, and Java 7 in February 2016, it is strongly recommended to install the latest version of Java instead. 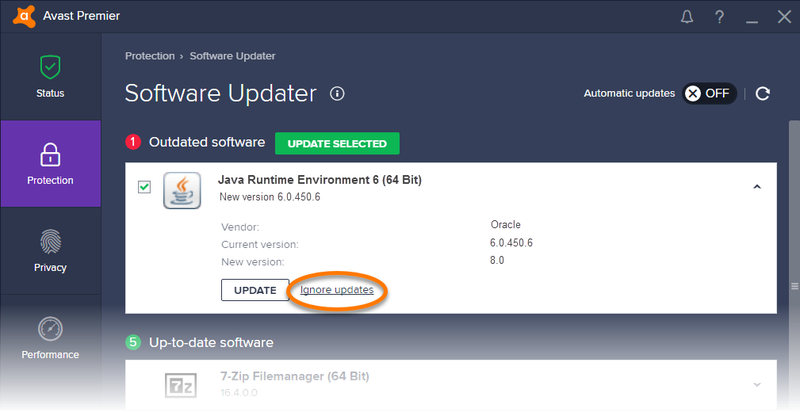 When you install a newer version of Java, the installer does not remove the out of date Java 6 or Java 7 automatically. 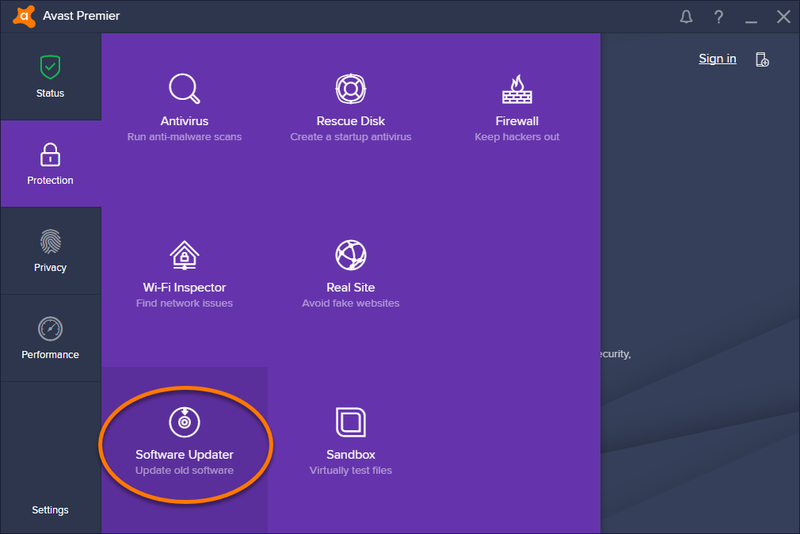 The Software Updater in Avast Antivirus continues reporting the product as outdated until the out of date version is removed or updated to the last supported version. It is strongly recommended to follow this procedure. Uninstall the obsolete Java 6 or Java 7. Why should I uninstall older versions of Java from my system? Install the latest version of Java. Please be aware that some programs may depend on Java 6 (or 7) to function and if it is removed their behavior may change. This method is not recommended. Open the Avast user interface and go to Protection ▸ Software Updater. Click the down arrow on the Java Runtime Environment 6 (or 7) panel to unfold it. Software Updater in Avast Antivirus discontinues warnings that your computer is vulnerable to risks because of outdated Java 6 or Java 7 software.